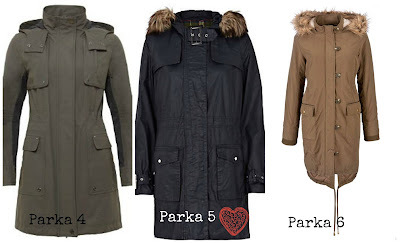 Yesterday I focused on The Biker Jacket, today I'm all over the Parka. I have THE MOST AMAZING one ever from River Island, I bought it 2 years ago and I love it so much. 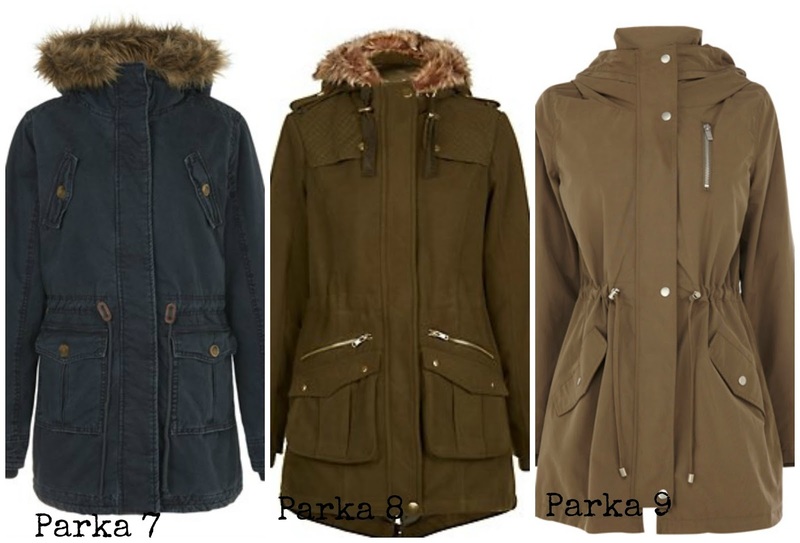 It's khaki in colour because to me that is what colour a parka should be. 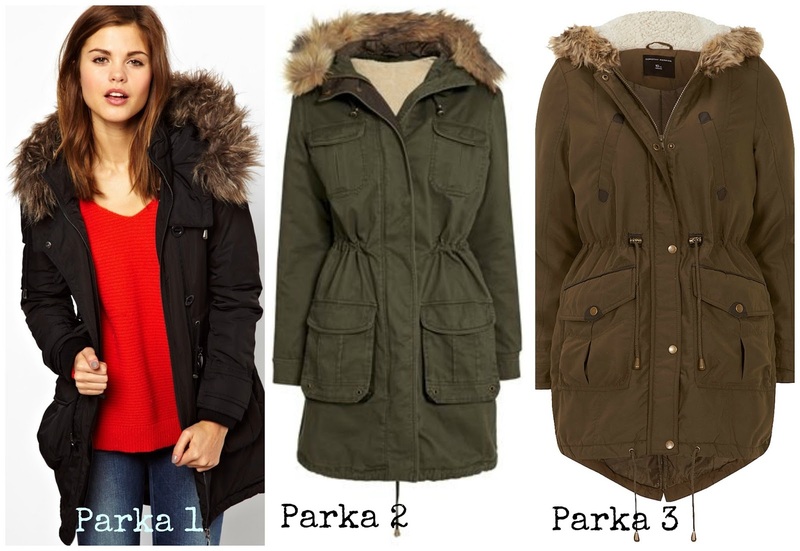 However, I have eye spied a few navy and black ones that I am liking. I also see a trend for waxed parkas - on paper sounds vile and weird and trying to copy Barbour but the truth is the River Island one looks amazing - I've given it my heart of appoval badge! Tomorrow I'll do a denim jacket round up - I am LOVING researching winter coats. I think I have every type already but there is always room for more .. yes? 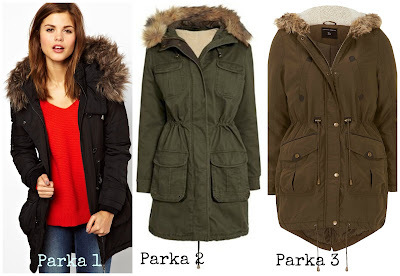 What coat style is your signature style, or, like me, you have too many to name just one?